this is absolutely an entertaining dessert! if you like to flambe', add 1/2 cup rum instead of rum extract. also, if you want to make your entire meal with crepes, check out my 'savory creamy crepes with chicken and mushrooms' recipe. 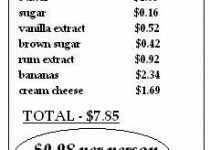 additionally, you can store crepes in seal-able plastic bags in the refrigerator for several days or in the freezer for up to two months. for banana foster topping: in a large skillet, melt butter. add brown sugar and stir together until combined. add the chopped bananas and cook until caramelized on both sides, over medium-high heat. turn off heat, add the rum extract. stir to combine. set aside. for the sweet cream filling: beat the cream cheese, sugar, and vanilla together until smooth. when ready to serve, place the crepes on serving plates. divide the cream cheese mixture evenly among the crepes then pull the two opposite edges of the crepes up, using the cream as glue to hold it up. pull up the other two edges to form a cream filled square. 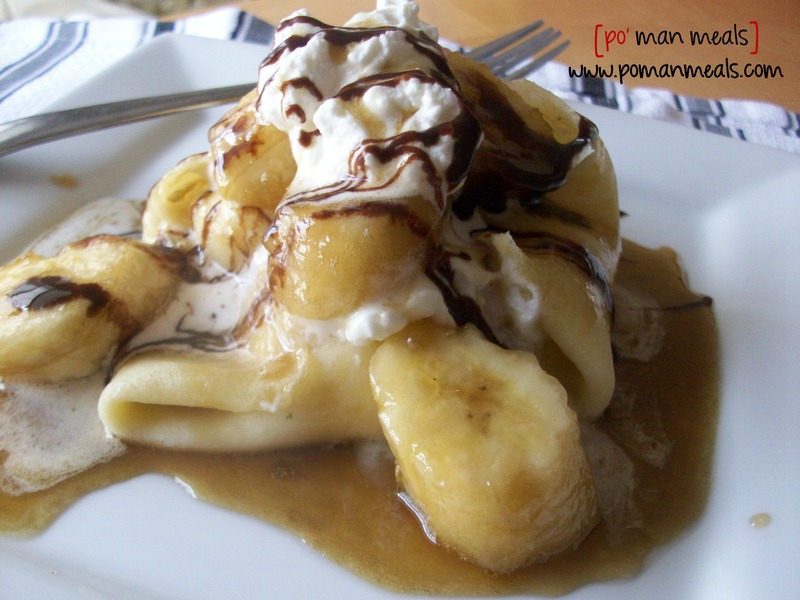 spoon 2 to 3 tablespoons of the banana sauce over the crepes, and drizzle the chocolate syrup over the top.